New Delhi: To bridge the gap between demand and availability of human organs for transplantation, the government will work towards creating a transplant facility in every medical college in the country. “At present all transplant facilities are available in metropolitan cities and 95% are in private sector. There is a need to increase the facilities in other parts of the country. The ministry will work to create a transplant facility in every medical college in the country in a phased manner,” health minister J P Nadda said. He was speaking after launching the nationwide registry for organ and tissue donation at the 6th Indian Organ Donation Day here. 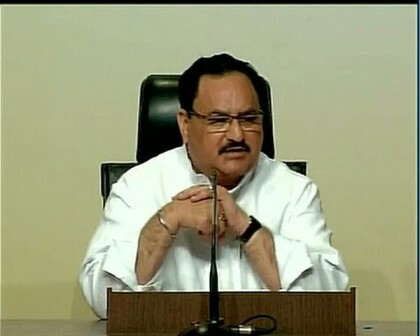 Nadda said the health ministry had decided to impart training in organ and tissue transplantation at all government hospitals even as he acknowledged a “delay” on the part of the government in promoting organ donation. “There has been a delay on the government’s side towards promoting organ donation, but the decisions we have taken in the last one year will make this cause a meaningful activity. We have decided to train paramedics in government hospitals in organ and tissue transplantation and sensitize them about organ donation, so that they can further pitch the issue in the society,” he said. The health minister also suggested that organ and tissue donation should be included in the syllabus of undergraduates (MBBS), postgraduates (MS and MD) and nursing degrees. “Awareness strategy for general public needs to be developed keeping in view socio-psycho-cultural belief of the society,” he said. Calling upon all Indians to pledge to donate their organs after death, the Union minister said organ donation was often discouraged on the basis of superstitions. “It is important to note that emotion will always be involved in any debate on organ donation, but when seen from the perspective of reason and rationale, the gift of life is the ultimate gift that one could give and organ donation is, therefore a ‘god-like act’ and needs to be encouraged,” he said.